Last week we kicked off with “Who Is My Neighbor?” (link here) We read the Parable of the Good Samaritan (Luke 10:25-37), learning that the greatest commandments are to love God with all that we are and to love our neighbor as ourselves. We looked more closely at some of the people Fred Rogers deliberately chose to be part of his television neighborhood, as well as some of Fred’s theological understanding of the world. I suggested that for Fred Rogers, loving his neighbor—moving outside of his norm, reaching out and befriending those who were different—was not a duty, or obedience to a commandment. Rather, it was a delight, a source of joy, a gift from God. That is a wonderful way of looking at the commandment to love our neighbor as we love ourselves. However, much ink has been used to explore the reality that part of the reason we do a lousy job of loving our neighbor is, we do a lousy job of loving ourselves. Fred Rogers knew this was true. Woven through Mister Rogers’ Neighborhood is the thread of each person being loved and lovable. then your heart is full of love. According to the people that knew him, Fred Rogers’ heart had room for everybody and it was most definitely full of love. How did his heart get that way? As it is with most of us, it was a long process involving many different experiences and things learned. Some of those experiences were from childhood. Fred Rogers grew up in Latrobe, Pennsylvania, about an hour outside of Pittsburgh. His family was very wealthy—they owned a mansion in town and had a cook and a chauffeur. Jim and Nancy McFeely Rogers were great philanthropists in Latrobe, supporting the construction of local pools and theaters and doing good works throughout the town. Fred was an only child until he was 11 and only a few years older than the Lindbergh baby who was kidnapped in 1932. Like many parents in wealthy families with young children, his mother became fearful that the same fate could befall her beloved son. So she became quite protective, having their chauffeur drive Freddy to school each day and watch over him when they were out in public. While the adults in Latrobe appreciated what Jim and Nancy Rogers did for their community, for some of the children, it made Fred a target. He had terrible childhood asthma, which had kept him isolated instead of making friends. So young Freddy was not exactly an outcast, but he was an outlier, and often lonely. Anyone who has ever been chased or taunted by a group of peers knows how terrifying it is. Fred managed to find safety at the house of a family friend who lived along the way home. 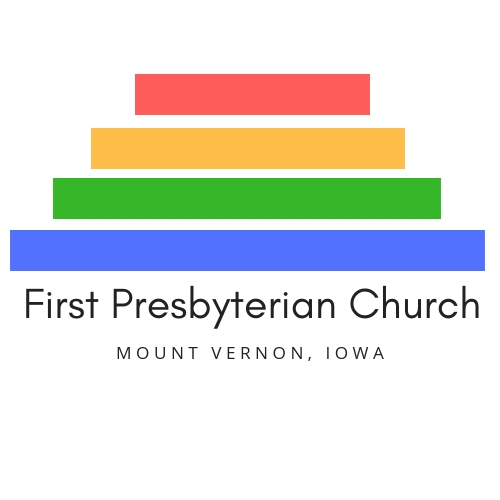 Grandfather McFeely took the message the Rogers and McFeely families heard each week at Latrobe Presbyterian Church, that God loves you, and made it incarnational, put it in the flesh. Fred experienced that unconditional love from his grandfather, and as he grew older, his understanding of what it means to be loved by God deepened and grew. God loves us, appreciates us, finds joy in us, just the way we are. God loves us in order that we might love ourselves and love others, appreciate ourselves and appreciate others, find joy in who we are and in who others are, too. And that belief was woven into every episode of Mister Rogers’ Neighborhood. Well, I would want those who were listening to somehow know that they had unique value, that there isn’t anybody in the whole world exactly like them and that there never has been and there never will be. And that they are loved by the Person who created them, in a unique way. If they could know that and really know it and have that behind their eyes, they could look with those eyes on their neighbor and realize, “My neighbor has unique value too; there’s never been anybody in the whole world like my neighbor, and there never will be.” If they could value that person–if they could love that person–in ways that we know the Eternal loves us, then I would be very grateful. We don’t want to disappoint Mister Rogers, do we? So, friends, I invite you this day and this week to meditate on, to soak in how much God loves you, your own beloved-ness. And as you do so, may it change the way you view yourself and those around you–with love. Always with love.